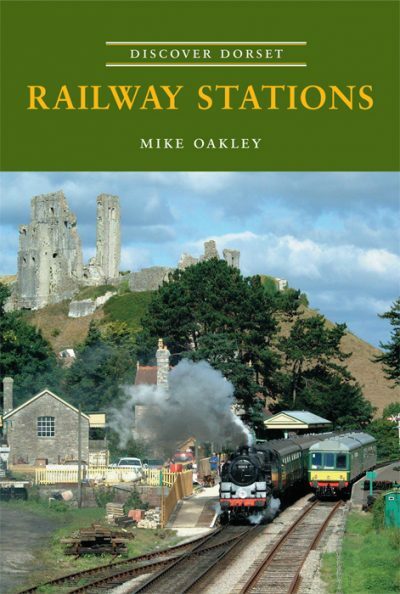 Mike Oakley was born and brought up in Dorset before moving to Bristol in the mid 1960s where he had a career in town and country planning until retirement in 1996.Mike’s interest in the history and role of railway stations and halts in the evolving social and economic life of the West Country led to the preparation and publication by the Dovecote Press of a successful series of books, all of which have been well received by local historians and railway enthusiasts, beginning with ‘Discover Dorset’ Railway Stations (2001). The others in the series are Somerset Railway Stations (2002), Gloucestershire Railway Stations (2003), Wiltshire Railway Stations (2004), Devon Railway Stations (2007), Cornwall Railway Stations (2009) and Somerset Stations, Then and Now (2011). Of particular interest to Mike is how stations have changed over the years, the new uses now in place where they have closed and clues to their former railway use.